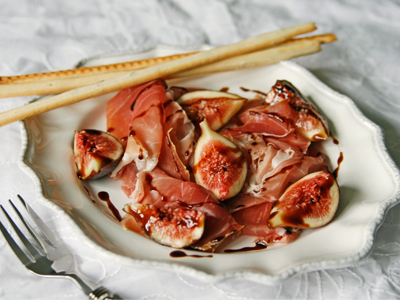 Sweet delicious figs, tempting prosciutto and seasoned fennel with olive oil and black pepper. 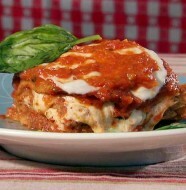 You can serve this most simple appetizer for an attractive beginning or starter meal. Taking only minutes to prepare, this easy appetizer will make a beautiful presentation at your table. Trim the fennel by cutting the top stems to base. Cut the fennel in quarters twice. Season with 2 tbl. 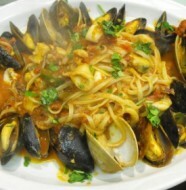 of extra virgin olive oil, ½ tsp. salt and ½ black pepper. You can also wrap the proscuitto around the fennel slices.